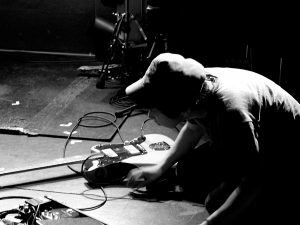 Yawning is a solo project of Jun Minowa from Tokyo, Japan who also plays guitar in a post-rock group Gargle. “Selected Works” consisting of demo-tracks was released on Heat Death Records in 2009. He signed with Fluttery Records in 2010. His EP “Noah” was released the same year by the label. Performing in the Tokyo area, Yawning also went on a short tour in Australia in the spring of 2013. Having worked on a few collaboration, Yawning is expected to release an album in 2017.